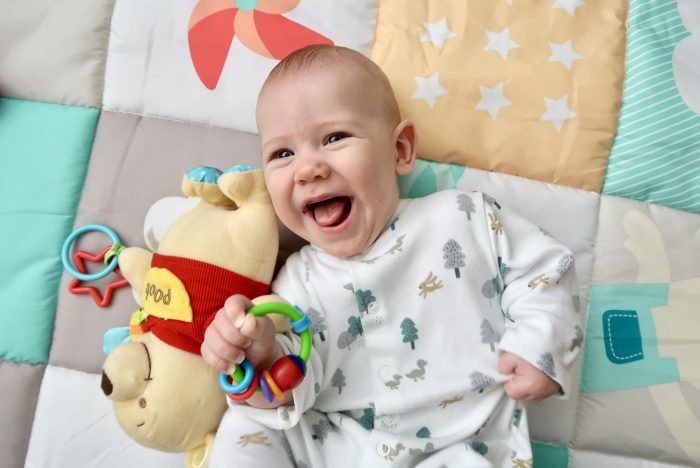 Now that JJ is 6 months old I’m finally having to admit that he isn’t just a squishy newborn anymore. He has been tentatively rolling over (although thankfully not too much!) and paying more attention to where his toys are. At this age I find it so important to give them that time on the ground to work on their muscles so they can learn how to do all the things they want, but that’s not always easy when you don’t have suitable flooring. When we were planning our kitchen renovation we opted for laminate flooring. It seemed the logical option with kids as it’s so easy to wipe clean and pick up crumbs, but I didn’t think through what it would be like for a baby. The floor is so hard, and now we are coming in to winter it is really cold to touch too. We have been sent an I Love Big Mat from Taf Toys and so far it seems to be combatting our floor issues! 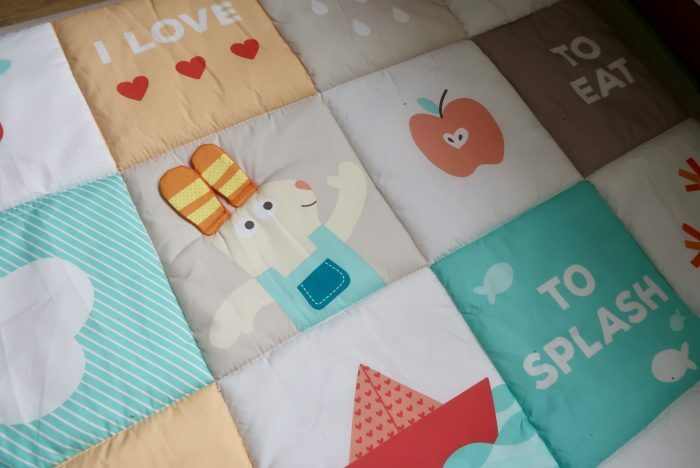 The mat is roughly double the size of the regular baby mats available, which makes it ideal for covering a large area. I have ours placed in the middle of the living room, and both JJ and Piglet have been putting it to good use. The mat is padded for extra comfort so I have no issues with lying JJ down on it to play. There are no concerns about whether the ground will be hurting his head or making him uncomfortable as I know that I’m happy to kneel on the mat myself to play with the kids too. 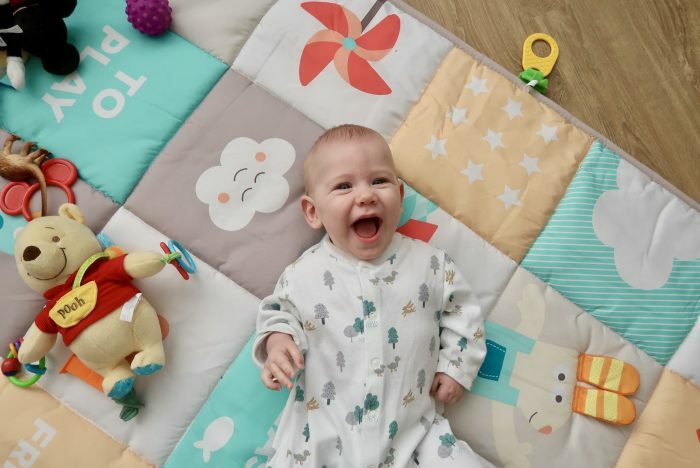 Aside from being brightly coloured, the mat has a variety of activity toys included which will hold your babies attention and aid their development. 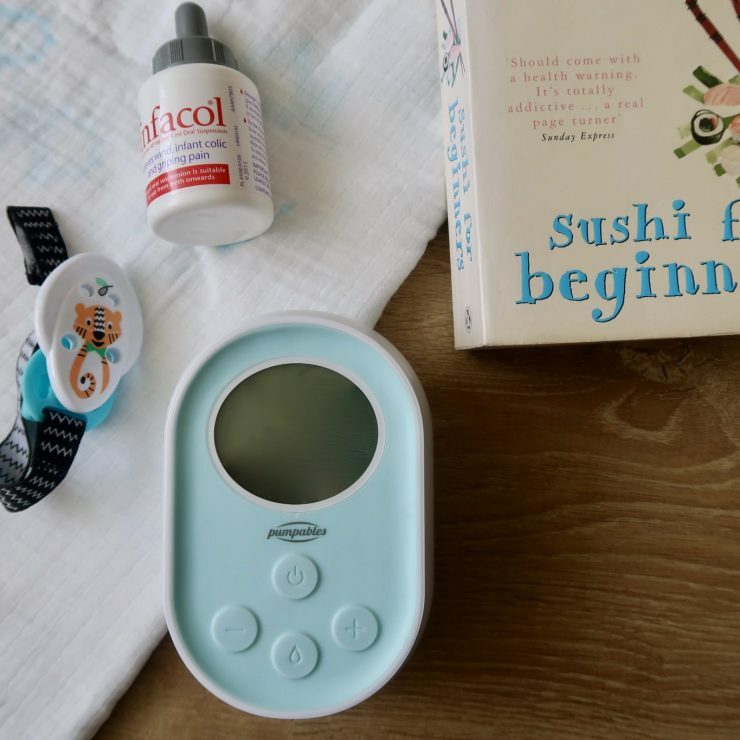 There is a baby safe mirror, which Piglet has discovered is removable and spends ages taking it on and off, plastic rings and a teether, as well as textured fabric and areas that crinkle. JJ has loved exploring the mat, tugging on the bunny’s ears or laughing at his reflection in the mirror. It is big enough that I don’t have to worry about the boys both playing on their together as there is plenty room for multiple children at once. 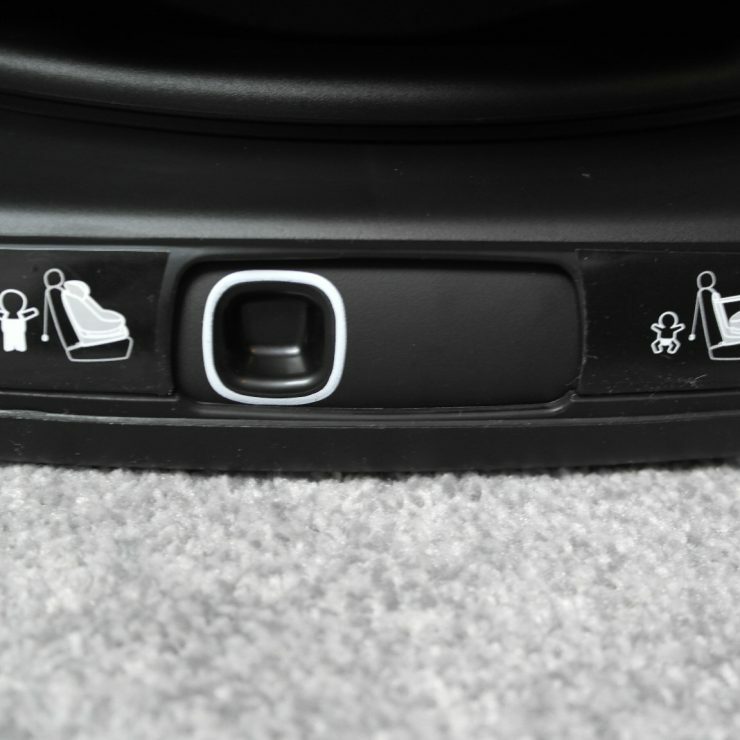 If there is one thing that the mat could be missing, it would be a non-slip backing. Piglet has slipped on it a few times as he walked over it as it simply slides across the laminate. However, if you were using it to cover a carpet then that would not be an issue. 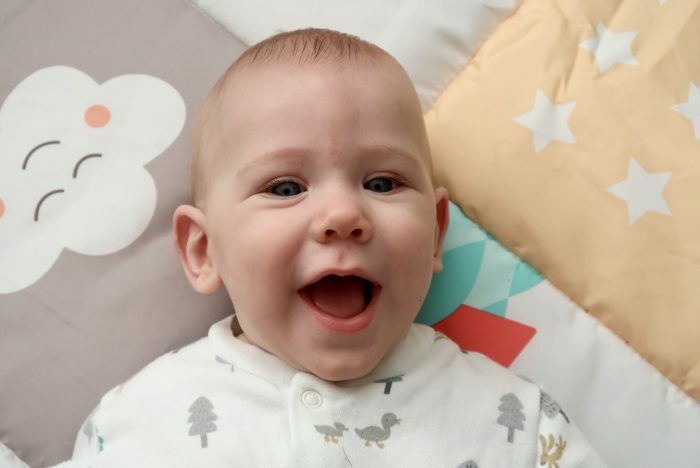 I am hoping that as JJ grows the I Love Big Mat will grow with him. He won’t be lying stationary on it any more, but I’m looking forward to see where his imagination takes it!